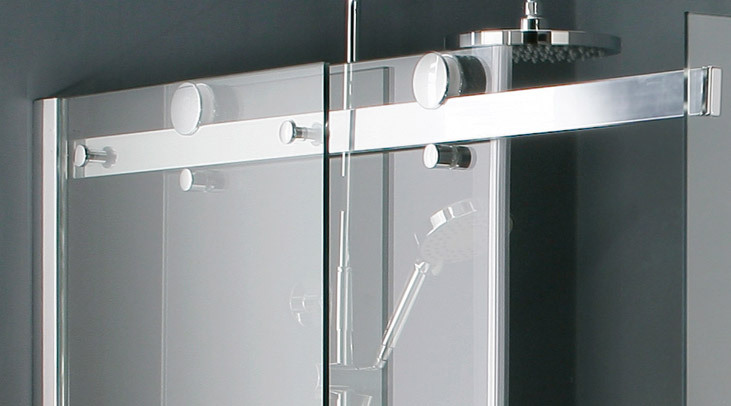 Are Bow Sliding Door Shower Trays The Right Choice For Your Design? 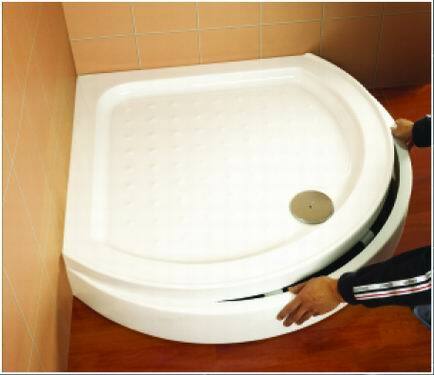 Space plays such an important role in the shower tray choices you have available. Most of us don’t enjoy the benefit of a spacious bathroom, which means we are very restricted on space and need to find ways to make the most of the floor space we have available. Bow sliding door shower trays are my top choice for smaller bathrooms. They fit well against the wall and enjoy a beautiful curved front which adds an elegant finish to a beautiful design. The bow sliding door shower trays use a sliding door which means the door doesn’t swing open and take up space but rather glides open leaving a large opening when getting in and out of the shower. Start with a bathroom layout that includes all the measurements of the space from wall to wall, this is a good indicator to work to when choosing all your bathroom items. You can use the bathroom layout to choose where to place your shower and what size shower tray will work best in the space you have available. 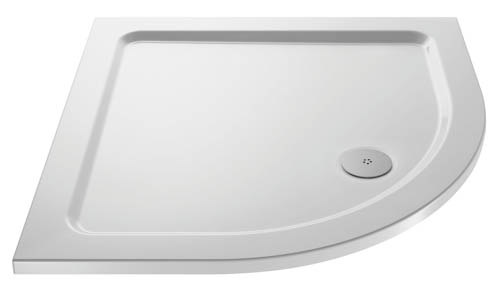 The bow sliding door shower trays are square in design with a curved front which fits into any bathroom design with ease and offers ample showering space. The bathroom layout you have drawn up will become your favourite piece of paper it will help you determine exactly how much space you have between your shower and other bathroom items. It will help you determine if the bow sliding door shower trays are the best choice for your design, bearing in mind you won’t have any doors swinging open and bashing into other bathroom products. All modern bathrooms have wonderful clean lines and that is why I recommend the bow sliding door shower trays for any bathroom. While they have the curved front, it’s a welcome addition on top of all the straight edges. Bear in mind these trays are square so they will still blend in with your other bathroom products with ease. Those of you that have DIY savvy may choose to install your own square shower tray. Many of the households call in a professional to ensure the tray is secure and won’t leak, but if you want to do the job yourself, you can do so and it will only take one afternoon. There are a few items you will need to get the job done. Chances are you have chosen square shower trays because they fit into your bathroom design with ease, they blend in with the space you have available and you have a wider selection of enclosures to choose from. If you are a little hesitant about carrying out the job yourself, but don’t want to spend money on the installation, ask a friend with some plumbing knowledge to come and give you a hand. Two of you can get the job done faster which means you’ll have your shower up and running in a shorter space of time. The first step to installing any shower tray is ensuring the floor is even. Many shower trays come with their own legs, which are adjustable, so a light different in height won’t make a major difference. If your shower tray doesn’t come with legs, you will need to even out the floor surface using the mortar. Always double check that you are completely happy with the colour, shape and size of your shower tray before you start installation. The advantage to the square shower trays is their versatility, you put them in a recess, along against a wall or even in a corner position. Next place the shower tray where you intend putting it, step back and imagine it completed. Will your shower doors be able to open? Then mark out the waste area on the floor before removing the tray to begin the installation. 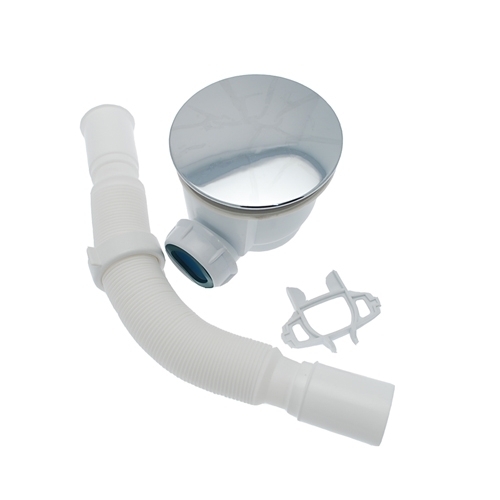 For the shower trays that came with legs, you can start the adjustments now, always ensure the shower tray is completely level once you have finished. If your square shower trays don’t have legs, spread the mortar, double check its level using your spirit level. To be sure I suggest you constantly check your tray is level with the spirit level throughout the process, rather be safe than sorry. Next you can place your shower tray either on the mortar or on its legs, drill out your waste area and plumb. Once everything is in place run some water to ensure there are no leaks in the plumbing. Once the tray is fixed in place you will have a lot of work to do to fix any unexpected leaks. If you are completely happy you can seal the tray using silicone. The utility knife enables you to remove any excess sealant and ensure the installation looks neat and professional. Once your sealant is dry, your shower tray is complete. Now you can start installing your enclosure to ensure the shower is completely sealed and won’t leak.